Ben & Jerry’s Founders ‘We Hate Cops’ Sign and Boycott-Truth! & Fiction! - Truth or Fiction? Ben & Jerry’s Founders ‘We Hate Cops’ Sign and Boycott-Truth! & Fiction! 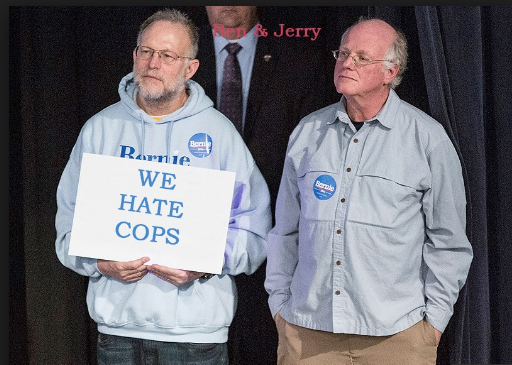 Ben Cohen and Jerry Greenfield, the founders of Ben & Jerry’s ice cream, can be seen in a photo holding a sign that says “we hate cops” and have taken up anti-cop positions. The founders of Ben & Jerry didn’t hold up a sign that says, “we hate cops” — but they have been active in protesting racial injustice and voiced support for Black Lives Matter. 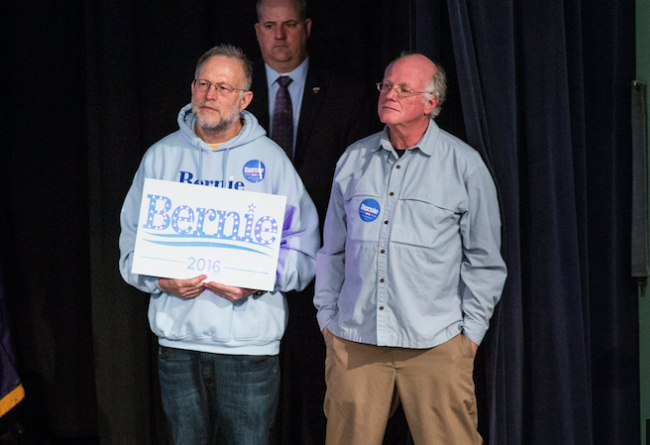 Ben Cohen and Jerry Greenfield were among a group of 300 people who were arrested for protesting around the U.S. Capitol in April 2016. They were protesting with the group “Democracy Awakening,” which was advocating for, among other things, racial injustice, voting rights, action on climate change, workers rights and fair pay. We want to be clear: we believe that saying Black lives matter is not to say that the lives of those who serve in the law enforcement community don’t. We respect and value the commitment to our communities that those in law enforcement make, and we respect the value of every one of their lives. But we do believe that — whether Black, brown, white, or blue — our nation and our very way of life is dependent on the principle of all people being served equal justice under the law. And it’s clear, the effects of the criminal justice system are not color blind. Ben & Jerry’s went beyond making a statement in support of civil rights when they actively accused law enforcement of widespread racism. By spreading these false and misleading statements, Ben & Jerry’s lends an appearance of legitimacy to the baseless claims that police officers are killing men based on the color of their skin. This message has inspired the assassination and attempted assassination of police officers, and it costs officers their lives. Someone used photo editing software to replace “Bernie 2016” with “we hate cops” in the photo. So, rumors about Ben & Jerry’s, Black Lives Matter and Blue Lives Matter are a combination of truth and fiction. The ice cream maker has supported Black Lives Matter, but it also voiced support for police officers in the same statement. Green Party Candidate Jill Stein Endorses Donald Trump-Truth! & Fiction! Trump Accuser Jessica Leads Tied to Clinton Foundation-Fiction!